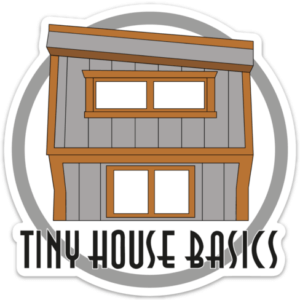 TINY HOUSE LIVING IS SUSTAINABLE LIVING: “Tiny House Basics” is an adventure in off-grid living! 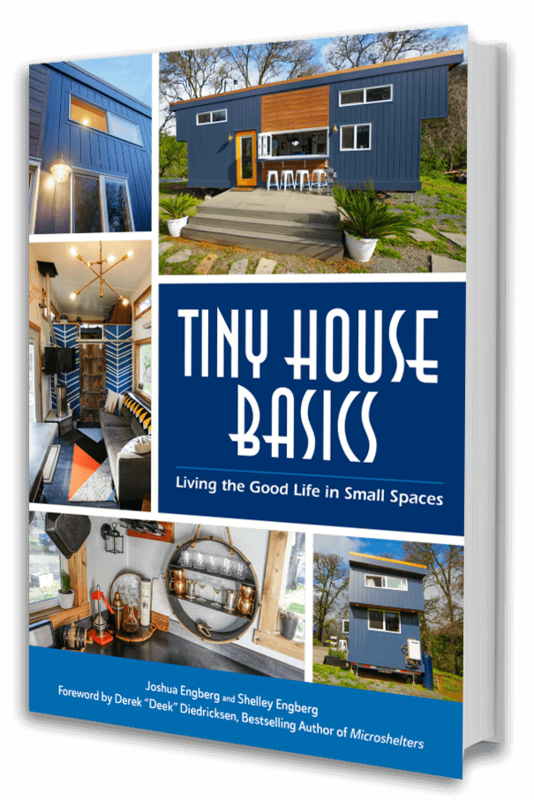 In their debut book, tiny house living experts Shelley and Joshua Engberg show you how you can join the revolution to downsize to small space living without giving up everything you hold dear. This is not about downsizing drastically or giving up a lot of your necessities. They show you how your life still can be comfortable and entertaining in a tiny house living environment. This is about redefining what a house is and mastering organization, location, and happiness. You can still keep your closet full and pantry stocked. “It is one thing to read a book about the theory of a transition. It is quite another to read one based on someone’s personal testimony of transition. Joshua and Shelley have nailed it in regards to balancing tips with case study. Their emphasis on being realistic in all things – from design to daily living – is both important and inspiring. 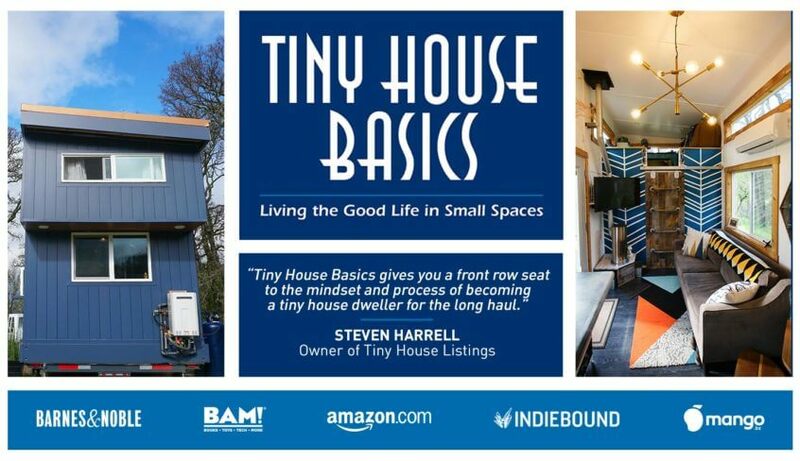 In my 9 years of being active in the modern tiny house movement, I have not yet read such a well thought out book for those at all stages of the “going tiny” process. Shelley Engberg is one-half of the duo behind Tiny House Basics. In the summer of 2014, Shelley and her husband, Joshua, started to build their first tiny house. The goal was to simplify their lives and return to the basics. Downsizing and redefining ‘necessities’ was only the beginning. As avid campers and off-road fans, they were used to smaller spaces and only having essentials on trips. So they thought, ‘why not live like this 365 days a year?’ Moving into a Tiny House was a new challenge that brought its highs and lows. With the help of Tiny House Nation and many talented friends, they finished their self-designed 374 sqft home in 18 Days! Today they live in their tiny house full time and couldn’t be happier. (Forward) Derek “Deek” Diedricksen is a man with many skills and interests. He’s a painter, author, musician, teacher and more. But above all, Deek is a builder, a fact his skills as a builder have been on full display with his hit HGTV show “Tiny House Builders”. With his unbridled enthusiasm and quirky charm, Deek runs the popular Relaxshacks.com and authored the book “Humble Homes & Simple Shacks”.